© simon baylis associates ltd 2008 Explanatory notes. 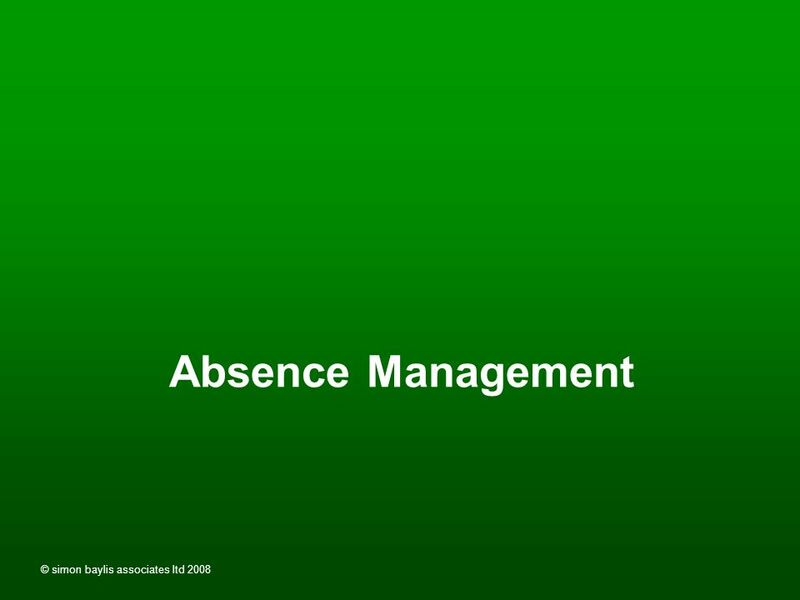 Absence causes lost work, extra overtime, increased rejects, customer annoyance and missed deadlines. 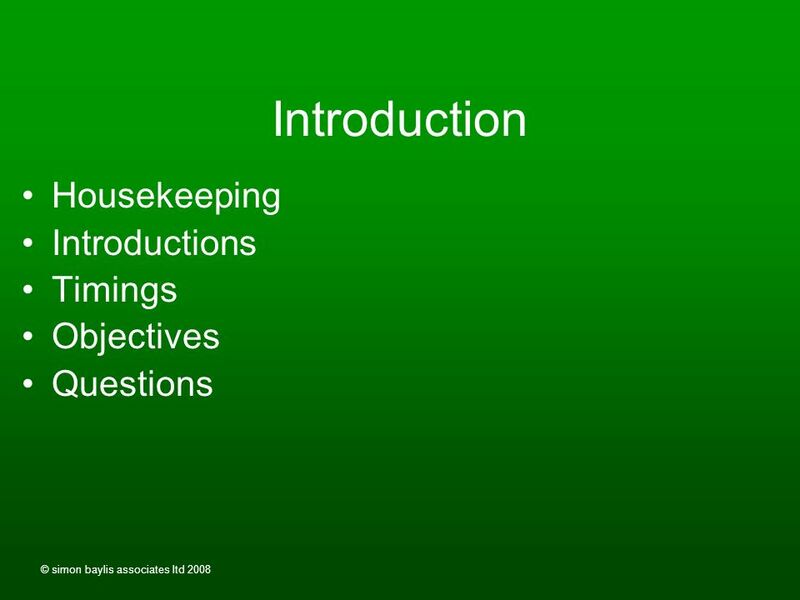 2 © simon baylis associates ltd 2008 Explanatory notes. 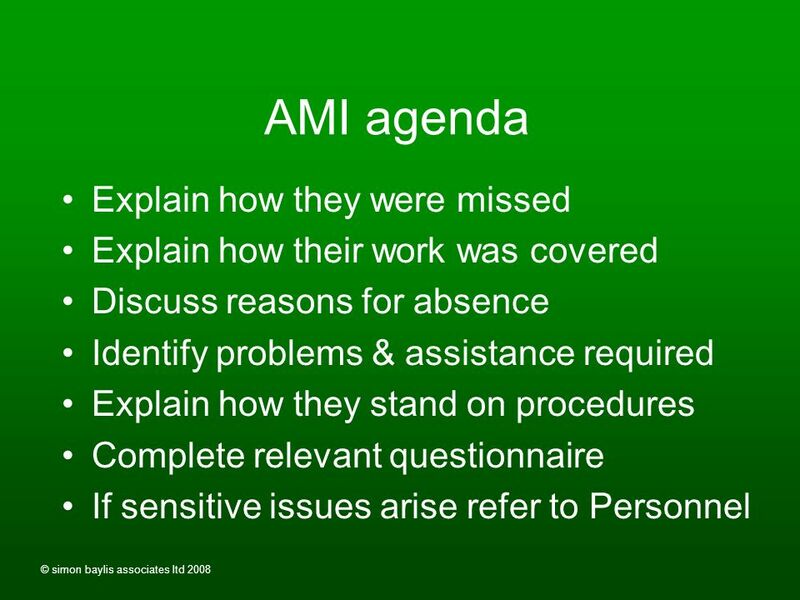 Absence causes lost work, extra overtime, increased rejects, customer annoyance and missed deadlines. 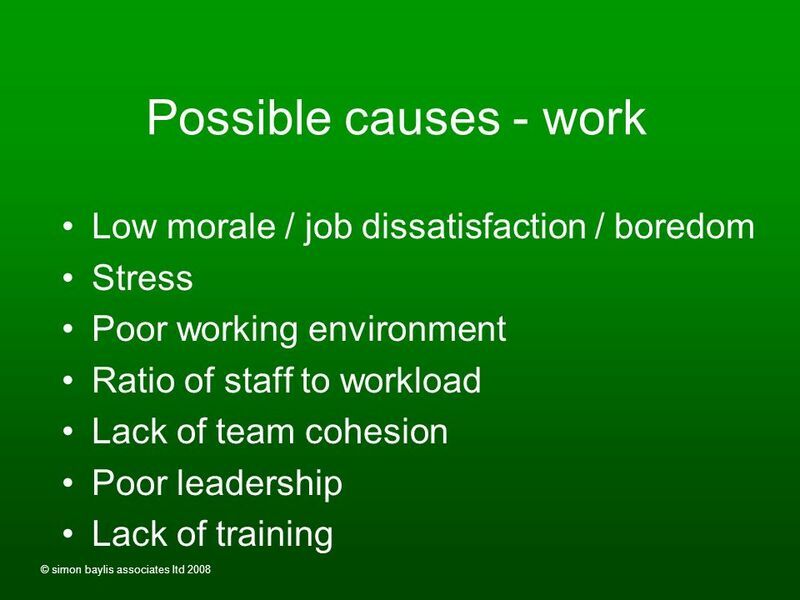 In addition staff with low absenteeism are demoralised by those who take excessive time off. Well, you can make a real impact using a zero tolerance policy backed by good procedures, including accurate record keeping. 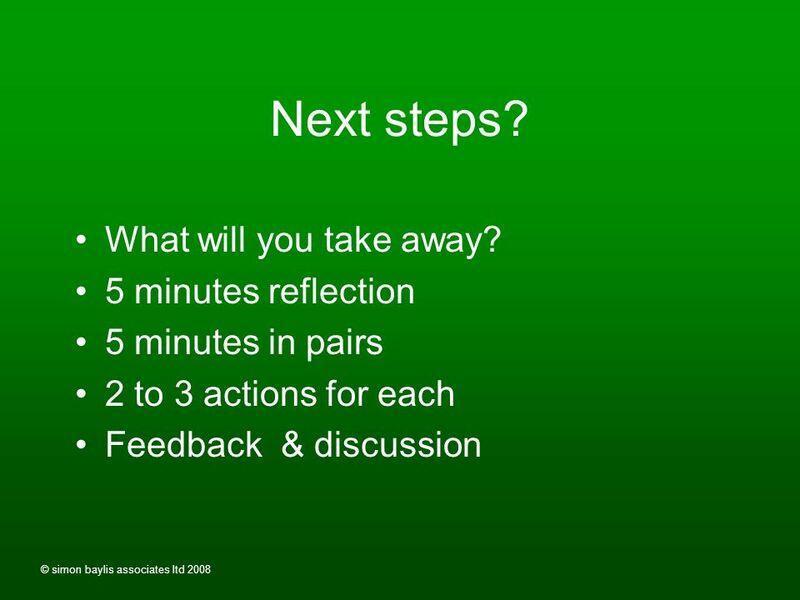 Central to the process is an effective Back to Work Interview. 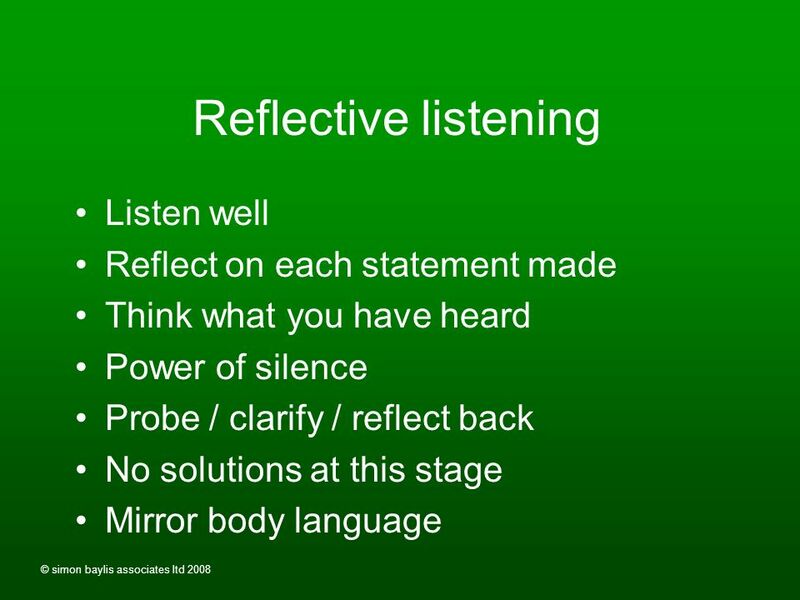 Applied to everyone returning to work after absence, this is a sensitive, non-threatening and reflective meeting with the manager. 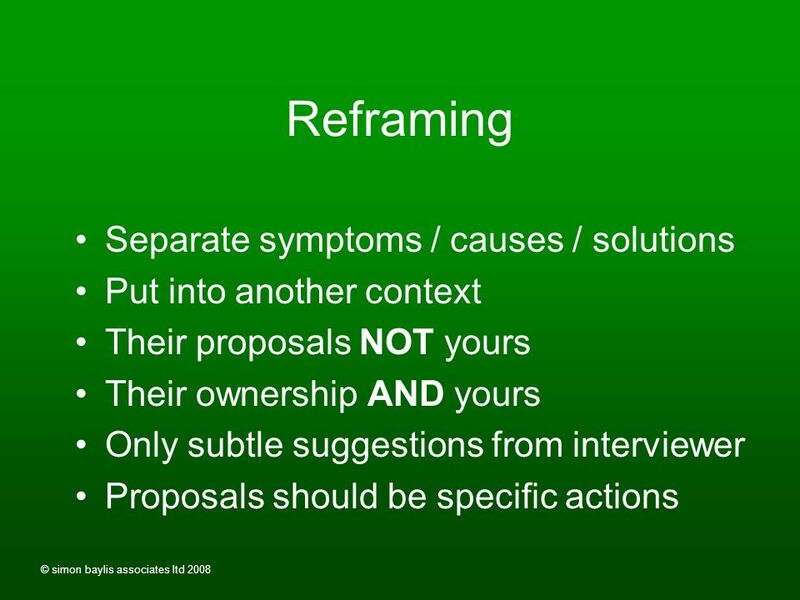 It always assumes absence is genuine, seeking instead to identify the causes and agree solutions to ensure that it is not repeated. 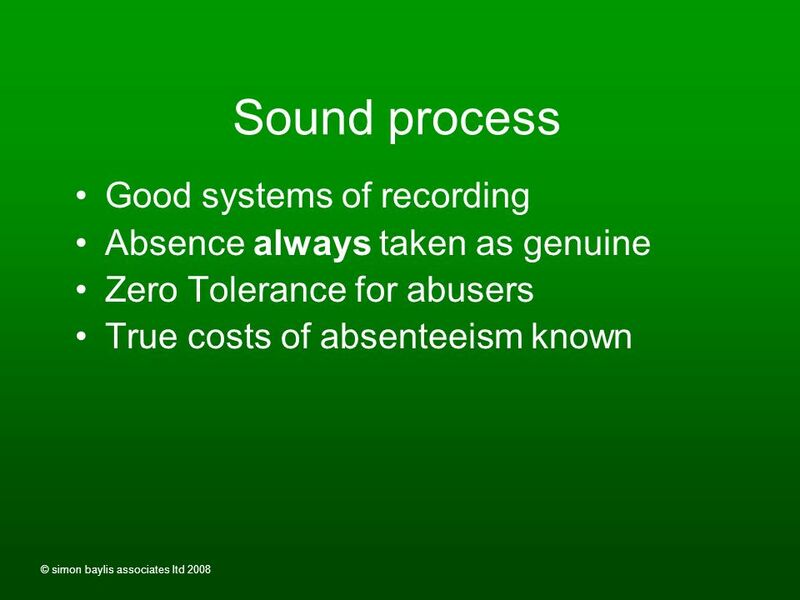 The aim is to find underlying causes of absenteeism that are not always revealed by traditional methods. 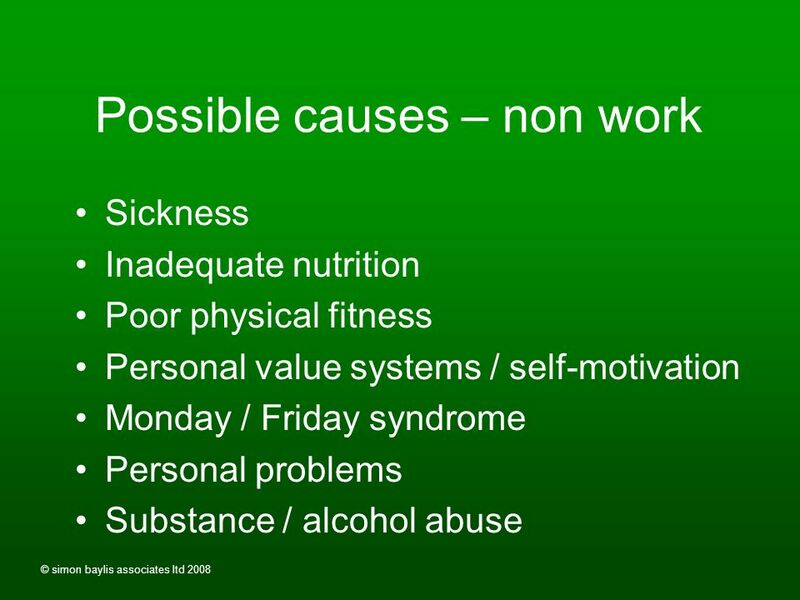 These include low morale, stress, bullying, poor leadership, personal problems, alcohol abuse and, especially relevant these days, personal value systems. 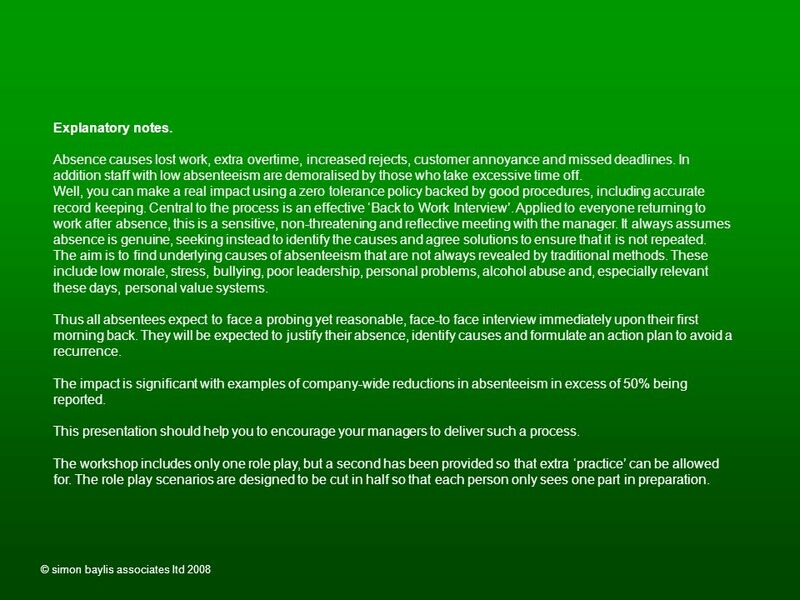 Thus all absentees expect to face a probing yet reasonable, face-to face interview immediately upon their first morning back. 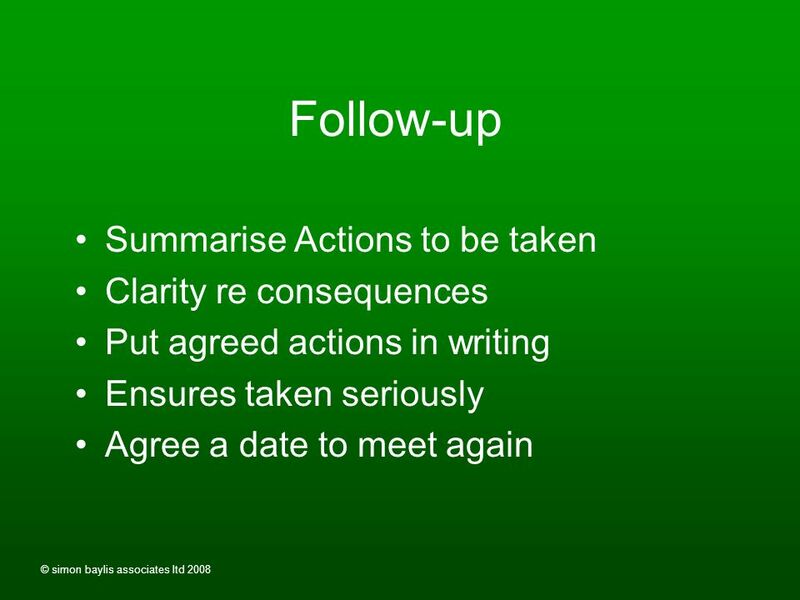 They will be expected to justify their absence, identify causes and formulate an action plan to avoid a recurrence. 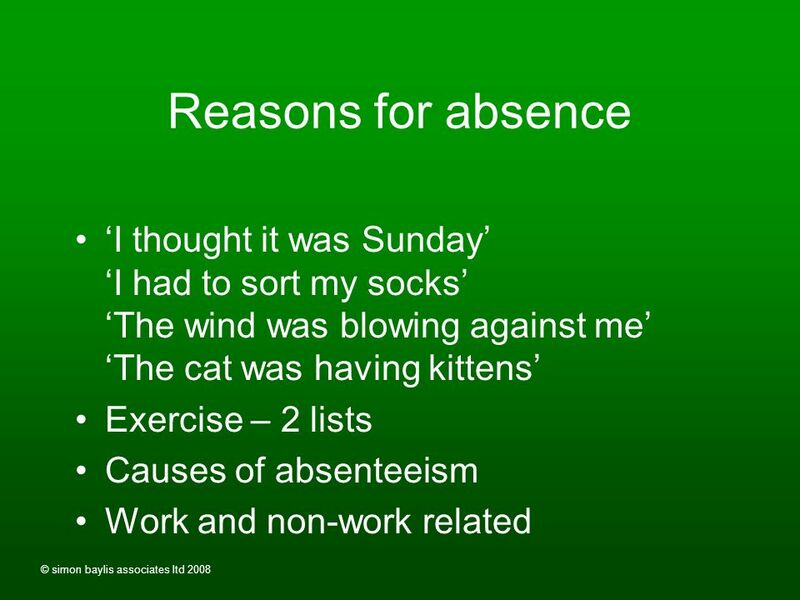 The impact is significant with examples of company-wide reductions in absenteeism in excess of 50% being reported. 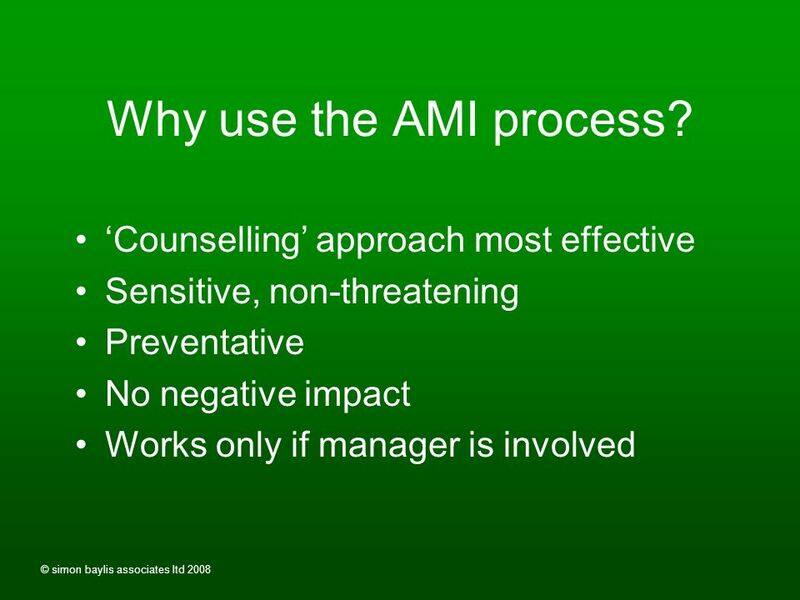 This presentation should help you to encourage your managers to deliver such a process. 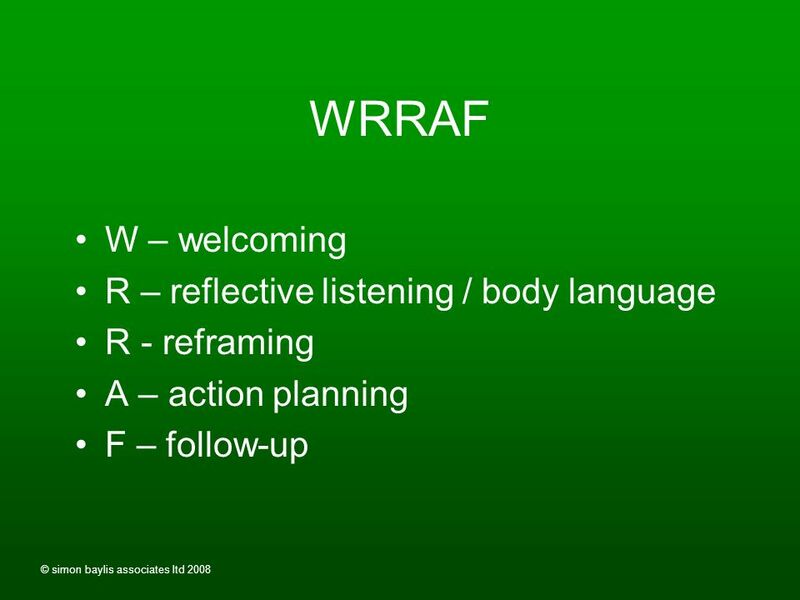 The workshop includes only one role play, but a second has been provided so that extra practice can be allowed for. The role play scenarios are designed to be cut in half so that each person only sees one part in preparation. 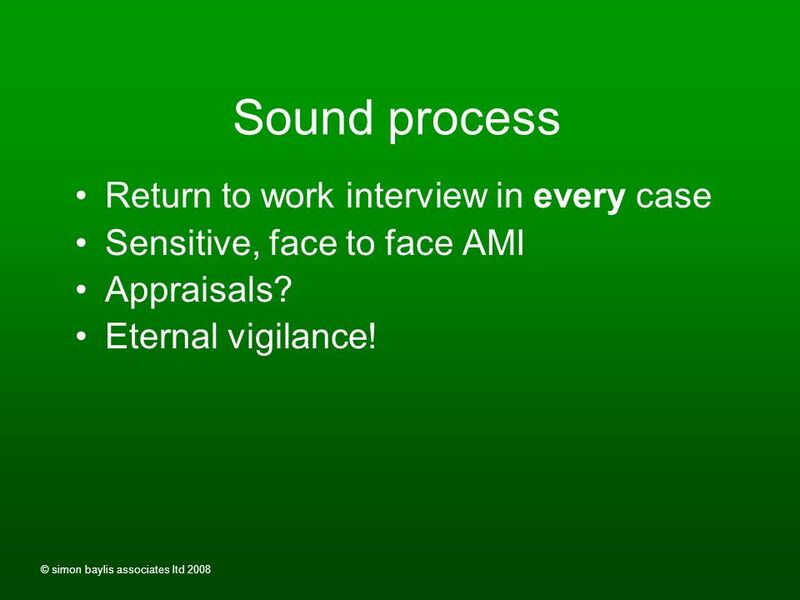 13 © simon baylis associates ltd 2008 Sound process Return to work interview in every case Sensitive, face to face AMI Appraisals? Eternal vigilance! 14 © simon baylis associates ltd 2008 What happens here now? Who should people ring? 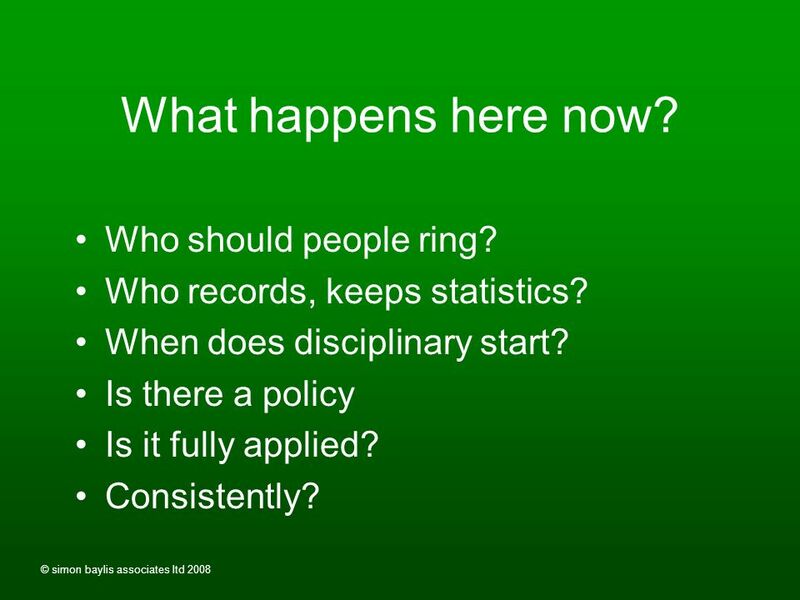 Who records, keeps statistics? When does disciplinary start? 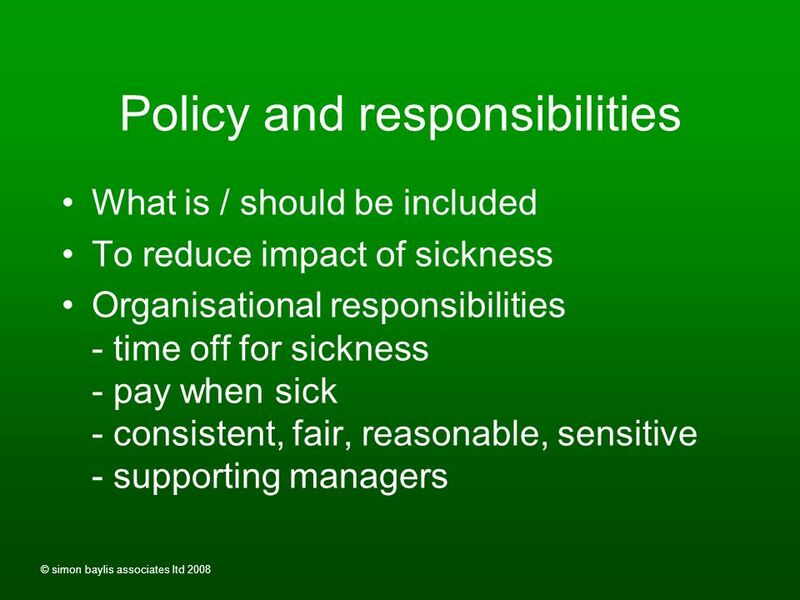 Is there a policy Is it fully applied? Consistently? 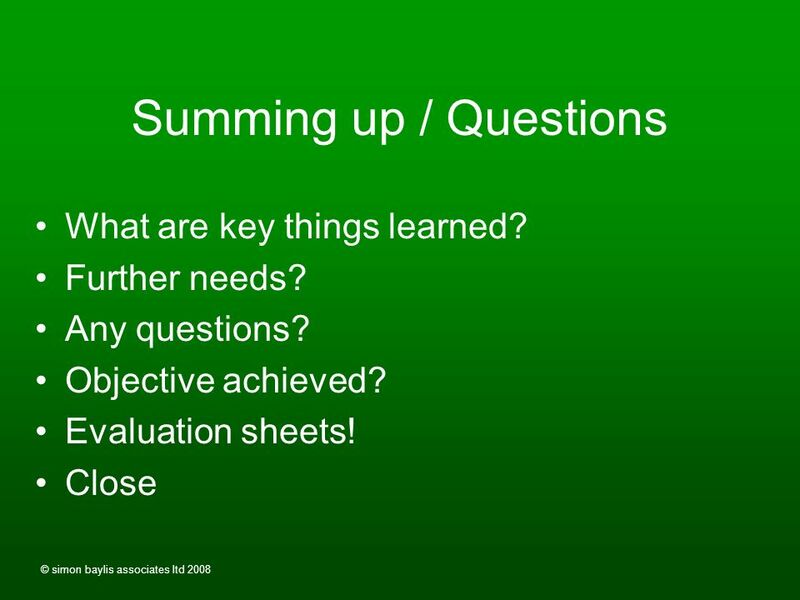 Download ppt "© simon baylis associates ltd 2008 Explanatory notes. Absence causes lost work, extra overtime, increased rejects, customer annoyance and missed deadlines." 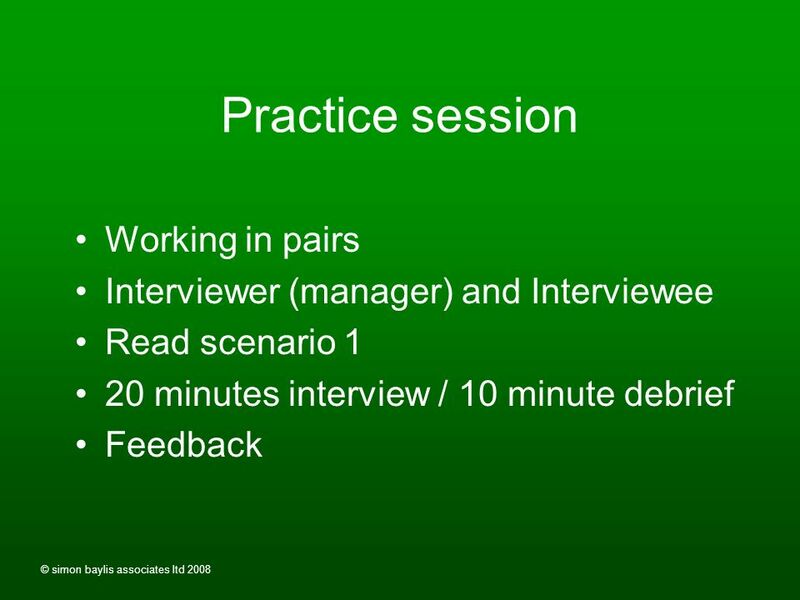 Introduction to interviewing skills workshop Presented by Date. Welcome. Today’s Schedule 2.00Arrival and Registration and Drinks 2.10BAOH Procedures and ILPs 2.20Welcome from hosts and administration 2.25 Session. GOVERNANCE AND LEGISLATION FACILITATED BY CAROLINE EGAN. ILM Level 5 Human Resource Management. Outsourcing  Not always what it seems re Costs (Financial & Organisational) & Performance  Profit  Subsidiary. 1. 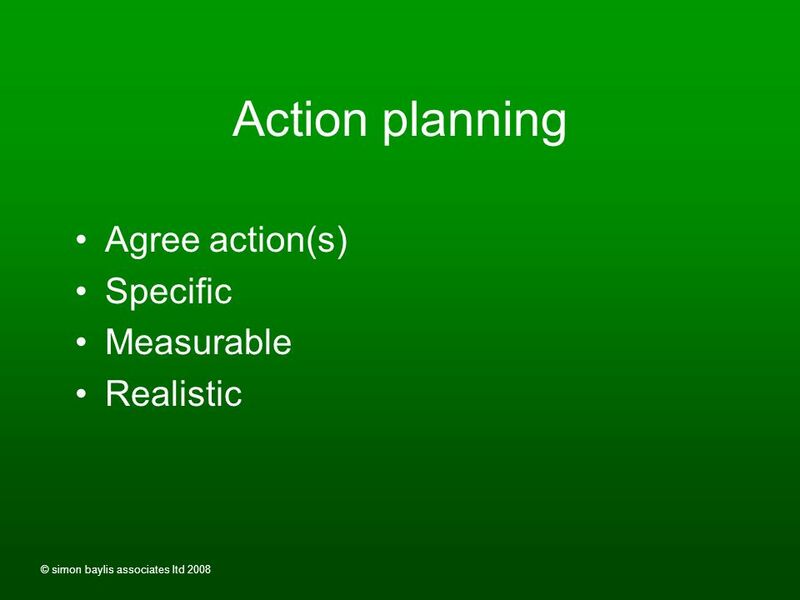 Set expectations and measure performance ◦ What employees are expected to do for their organization in return for pay and benefits ◦ Allows employees. 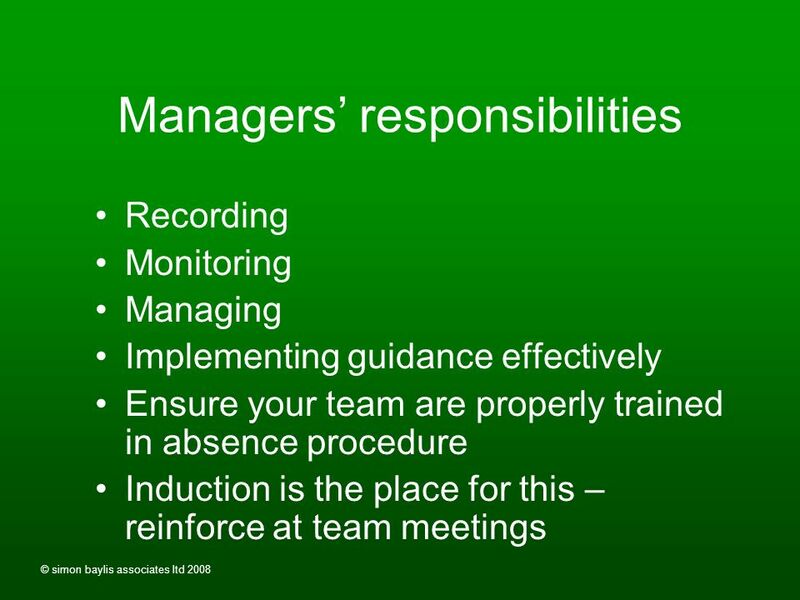 INFORMATION FOR DEPARTMENT HEAD AND MANAGERS Dealing with Attendance issues. 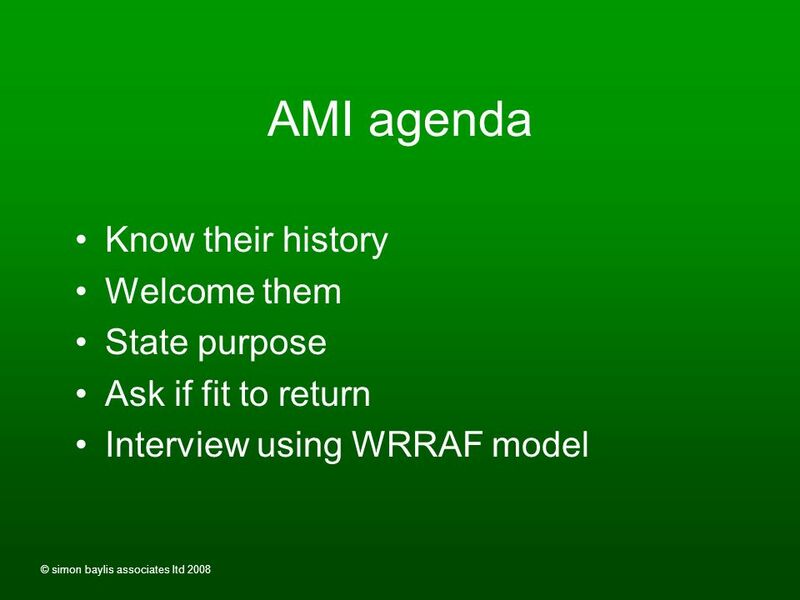 Manage People Performance RAF1 Planning and risk management Manage people performance.